If you tried our Technology Challenge, here are the correct answers. 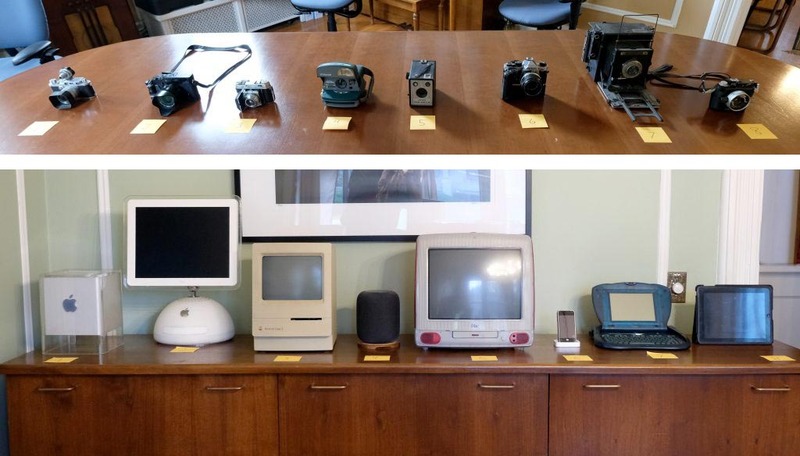 We asked you to put 8 cameras and 8 computers into order from oldest to newest. The photos are below. Each one is numbered 1 through 8, from left to right. The correct order for the cameras, from oldest to newest, is 7, 5, 3, 1, 8, 6, 4, 2. The correct order for the computers, from oldest to newest is 3, 7, 5, 1, 2, 6, 8, 4.